Ireland produced its largest amount of renewable electricity ever last year, on the back of the introduction of an additional 400 megawatts of power from wind turbines. DUBLIN - Ireland became an exporter of electricity last year on the back of record production from onshore and offshore windfarms, and this year’s production could be even higher, a new report shows. And the country’s spending on imported fossil fuels fell by €1.2 billion last year following the opening of the often-controversial Corrib gas field off the Mayo coast. A report from Sustainable Energy Authority of Ireland (SEAI), due to be published on Tuesday, highlights major changes in where Ireland’s energy comes from, and how it is now being consumed. 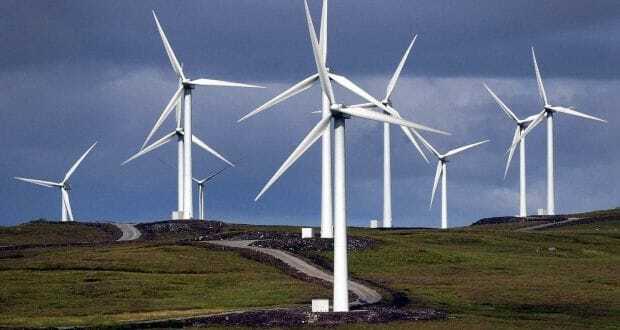 This brought the total capacity of Ireland’s wind turbines, on land and at sea, to 2,827 megawatts, according to the SEAI’s annual Energy in Ireland Report. It includes analysis going back to 1990. Most of the turbines that entered service last year did so towards the end of last year, so this year’s figures should be higher again, the report says. In addition, the more windy conditions seen this year will also boost production. Renewable electricity generation accounted for more than 27 per cent gross electricity consumption in 2016, while the use of renewables in electricity generation reduced CO2 emissions by 3.1 million tonnes and avoided €192 million of fossil fuel imports.